This entry was posted in Indian, Uncategorized and tagged Mardi Gras. Bookmark the permalink. I had no idea this existed! I will be visiting as soon as possible! I love this place. Quality product and friendly staff continues to define Columbus as the Ice Cream Capital of the World! Yes. This will be on my to-try list when I get back in the country. Thank you for your support of Columbus as Ice Cream Capital of the World. It is a bold proclamation but supported by cold, hard facts. Columbus is also the Taco Truck Capital of the Midwest with (currently) 40 Taco Trucks. I FREAKING LIVE WITHIN WALKING DISTANCE OF THIS PLACE. Been wanting to try this out. Maybe I can tempt my folks to make the drive out this way. 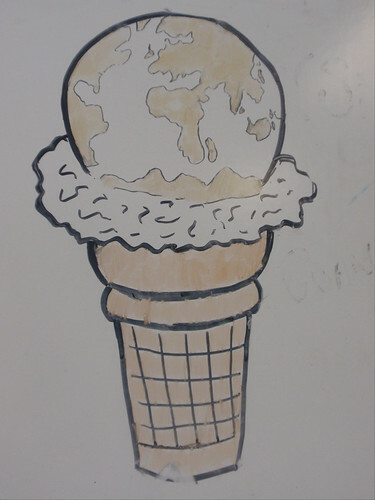 Comparing ice creams (or anything in the world of food) is a tough call since we all have different tastes. I am glad we have so many good choices to choose from. I have favorites at Jeni’s, Denise’s, Mardi Gras and Graeters. I have flavors I do not care for at each place too. 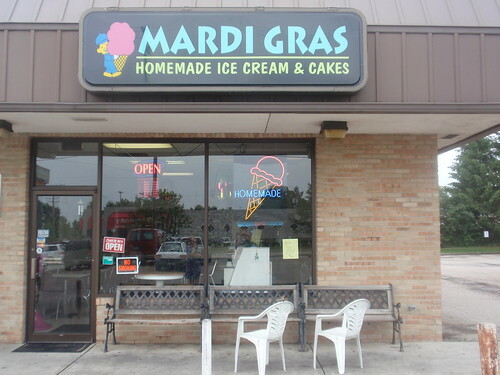 I do think there is more to Mardi Gras that just exotic flavors. I think they scoop a good product so I hope you might give them a try again sometime down the road. But happy to have you support any of our local ice creameries with your business. I will de-lurk to say thanks for the review. My husband and I went to Mardi Gras this evening and have to say your review was spot on! We found the flavors to be interesting and unique, without being pretentious. Can’t wait to go back! PS – You failed to mention the slush puppy machine. I ❤ slush puppies, too! Yum! My DH and I checked them out after going out to dinner on Sawmill. The ice cream was fantastic (I got the cashew raisin flavor and DH got rose). The texture was so smooth and creamy that it was almost unbelievable. 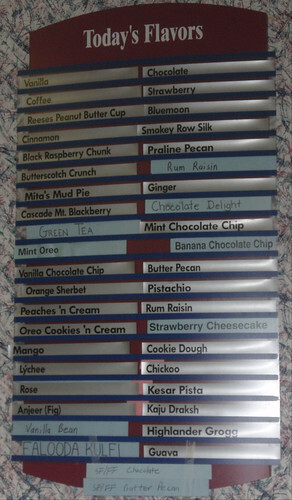 We will definitely be returning to try some other flavors. Jeni’s is nice for unusual flavors sometimes, and graeter’s for the classics, but this is definitely the new top of our list for the execution and consistency of the ice cream alone. Been visiting since our neighbors got this ice cream for a party last summer; they had– mango, cashew-raisin, etc. We’ve been back several times. 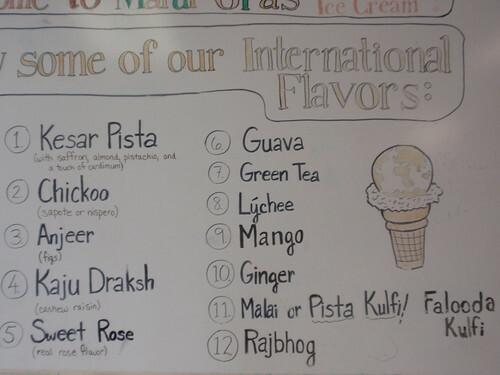 The ice cream is very creamy; love the raw silk, and the Indian flavors. The “regular” flavors are nice too, but the mango is the best! The quality of the product from this one store operation rates up there with Jeni’s. Great find in Columbus! The rose icecream is delicious!!! I have a a student in my lab right now whom is Indian and she was just telling me I need to go here!